Ваша информация верна при использовании ecribe и если у вас есть проблемы с морозостойкостью по умолчанию. устройство установит базовую линию, когда вы ответите «да», если вы хотите установить ручное сопротивление, тогда просто загрузите новые числа без блокировки его ... использование режима блокировки - это когда RDa или бак делают катушку нестабильной, и вы хотите переопределить его на установленное количество your information is correct when using ecribe and if you have issues with the default cold resistance. the device will set the baseline when you answer yes if you wish to set a manual resistance then simply upload the new numbers with out locking it in... using the locking mode is when the RDa or tank makes the coil unstable and you want to override it to your set amount блокировка омов - это бандаид для ошибочного или не идеального соединения. Единственная причина, по которой он находится в программном обеспечении, заключается в том, что конкуренция предлагает это, и многие просили об этом, и это выполнимо, поэтому evolv сделал это, но в идеале вам никогда не придется блокировать Омы. если вы часто получаете новую катушку с такими же сообщениями катушки, то, возможно, было бы лучше просто измерить сопротивление вашего мода, а затем добавить сопротивление к смещению, как описано, если ваше сопротивление прыгает вокруг достаточно, чтобы вам пришлось использовать блокировку сопротивления, тогда Существует проблема, которая должна быть исправлена. locking the ohms is a bandaid for an erratic or less than ideal connection. 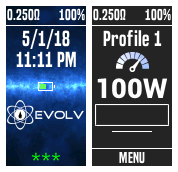 only reason it's in the software is because the competition offers this and many have requested it and it is doable, so evolv did it, but ideally you shouldn't ever have to lock the ohms. if you get frequent new coil same coil msgs then it might be a better idea to just measure the resistance of your mod then add the resistance to the offset in escribe, if your resistance is jumping around enough that you need to use the resistance lock then there is a problem that should be corrected. Locking function is not locking the resistance. when the device asks "is this a new coil?" that is what you do with all coils the locking mode is a diagnostic tool used with escribe that others use to correct issues. Функция блокировки не блокирует сопротивление. когда устройство спрашивает "это новая катушка?" это то, что вы делаете со всеми катушками режим блокировки - это преимущество диагностики, используемое с ecribe, которое другие используют для устранения проблем. Funktsiya blokirovki ne blokiruyet soprotivleniye. kogda ustroystvo sprashivayet "eto novaya katushka?"  eto to, chto vy delayete so vsemi katushkami rezhim blokirovki - eto preimushchestvo diagnostiki, ispol'zuyemoye s ecribe, kotoroye drugiye ispol'zuyut dlya ustraneniya problem. locking ohms is meant for unstable builds but normally i only lock ohms when i am sure it is a Certain cold ohm and the mod argues with me but in truth i have not locked an ohm in a long time. back then it was the RDA Post that was breaking and causing the ohms to jump. once i replaced the RDA no locking since. in your case as i under stand replay i would setup a separate TC profile for your TI coil and have it be replay mode on set your Temp and TC as desired and when you find a vape you like save it and replay will attempt to make it happen again. Replay will work with a Temp setting Replay is designed to give you that yummy vape again hence replay. To answer your question it is merely taking the data of your vape and replaying it as best as it can. i mainly use Replay for SS coils in Watts material mode. if i use NI or TI then i setup my TC as we all know and turn replay on. find a vape i like and save it. first confirm your coils are tight... second confirm your goon has a solid connection to the mod. third be sure to set a cold resistance before you start to dial in a replay forth are you getting a new coil message when under replay when it will not work... if yes it suggest your coil resistance is all over the place and may need adjusted somewhere... try above again... if no will this work under 316L TC material vs replay.... if yes it suggest your coil should accept replay as is... have you tried it under TC and seeing how your temp curves look. that could tell you where the issue is. i can also confirm the Error press up happening with SP38 mod is the lost vape 250c for me i have seen it happen more with inactivity and a few when sending profile updates my device was from september going back to Core it has yet to happen. the device was first updated then used until the error was frequent between uses . after reverting it has yet to happen with the same use pattern and all.